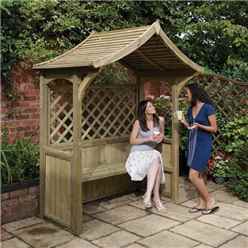 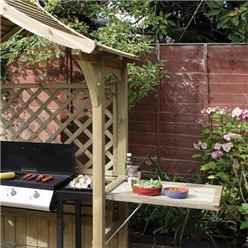 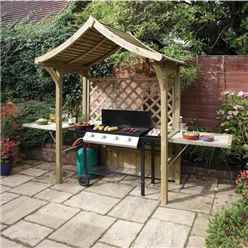 This pressure treated Party Rowlinson Arbour provides a perfect place to sit and enjoy your garden. 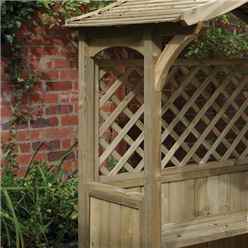 Its natural timber finish gives it an aesthetic look making it a must have for any garden. It has a lift up seat providing storage for a BBQ up to 1.5m wide and side panels which raise to create tables - perfect for a summer garden party.